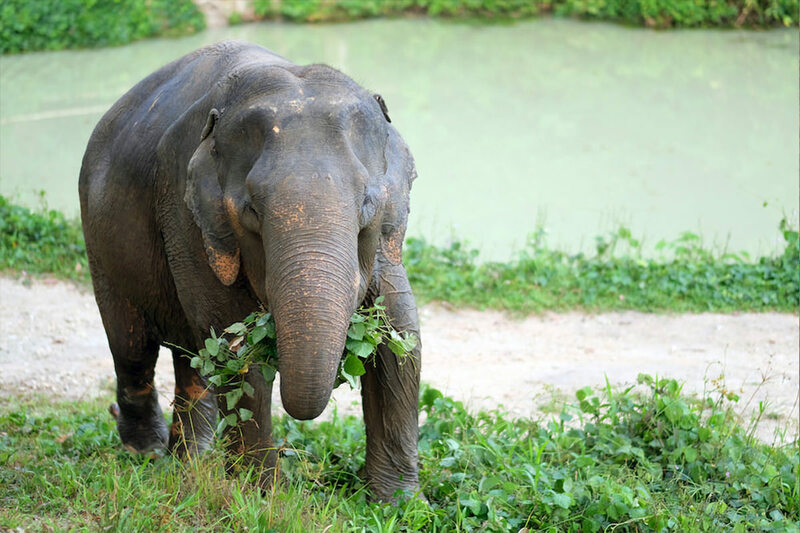 70-year old Richy was our “grandma” at Phuket Elephant Sanctuary. Originally from the Ranong province bordering Myanmar, she spent decades in the logging industry carrying logs as heave as her own body. 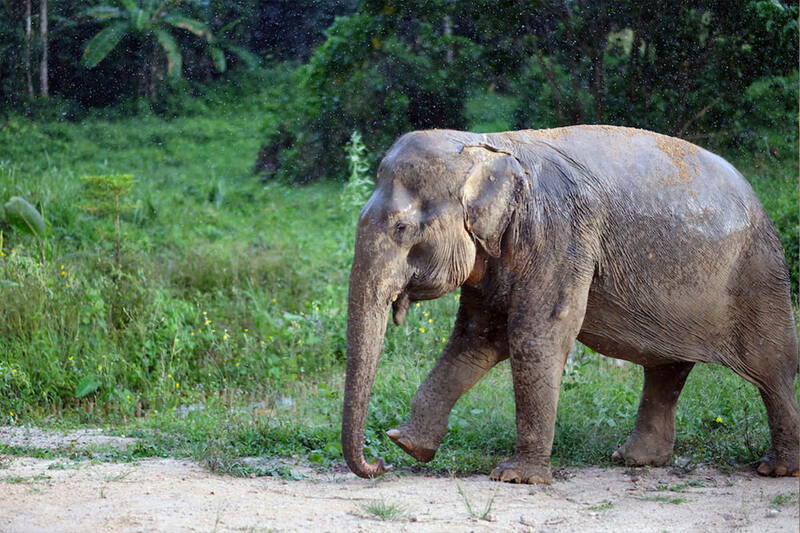 She then was sold to a trekking camp in Phuket, carrying tourists on her back until the age of nearly 70. 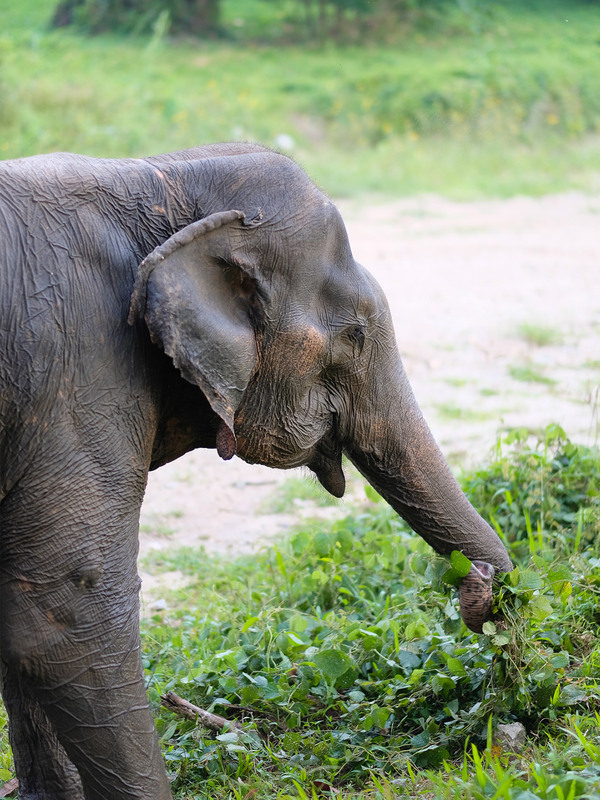 All these years of hard work had left Richy with a twisted ankle at her right front leg and a broken hind leg, as well as scars from the chains that were tightly wrapped around her legs. 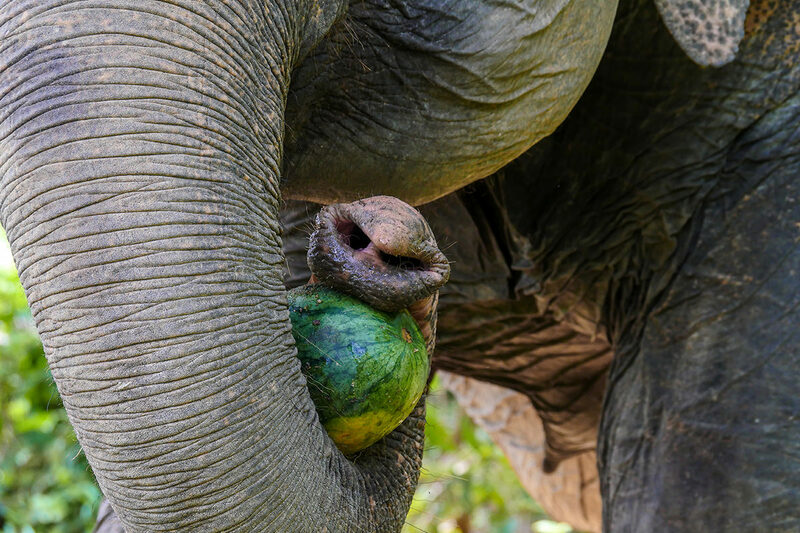 Our founder Mr. Montri Todtane met the poor elephant over 10 years ago and since then hoped to save her one day and to provide her with a better life. 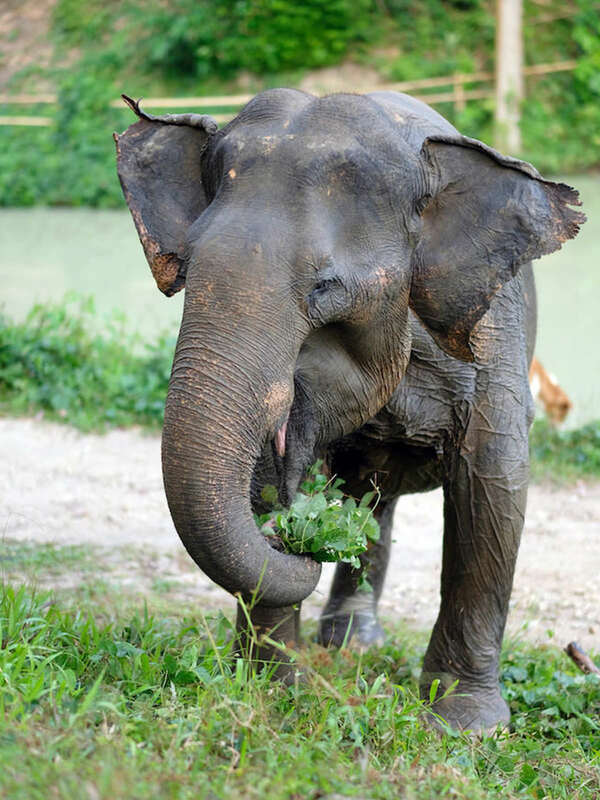 That day finally arrived in January 2018 when she moved into her new and final home at Phuket Elephant Sanctuary. 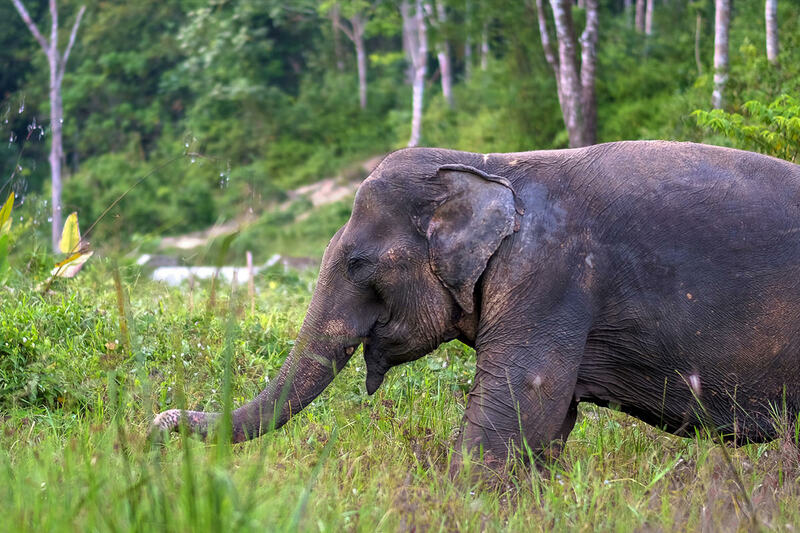 After 70 years of hard work and abuse, Richy took a few weeks to acclimatize to her new surroundings and friends. 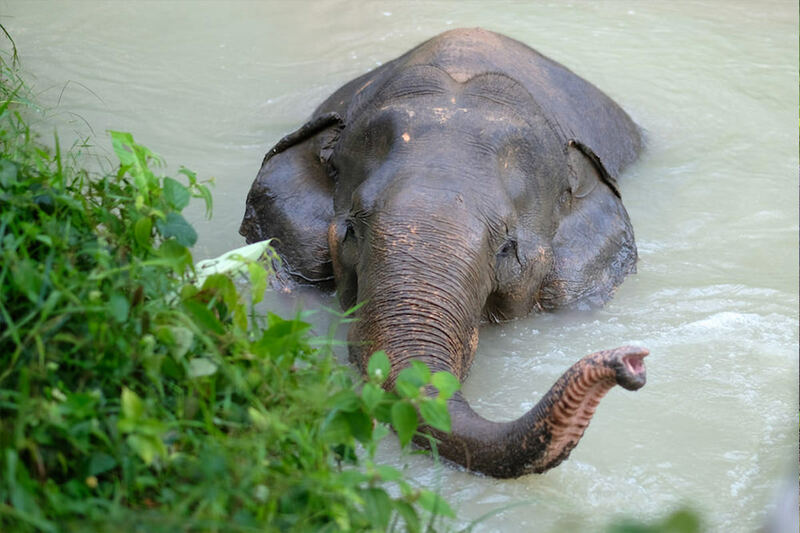 She spent most of her days at her favourite spot near the sanctuary entrance together with her mahout, and would occasionally go for a swim in our lagoon. 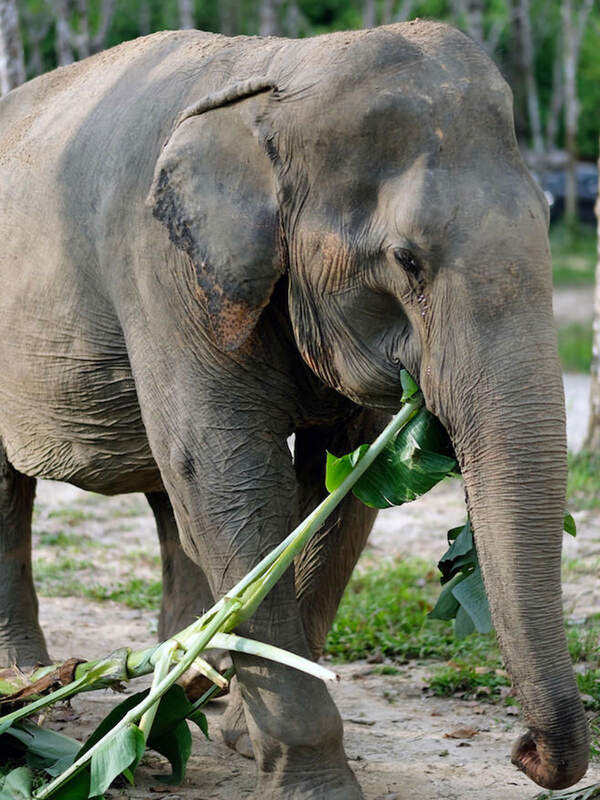 Unfortunately, in September 2018 Richy succumbed to her injuries and tired body. 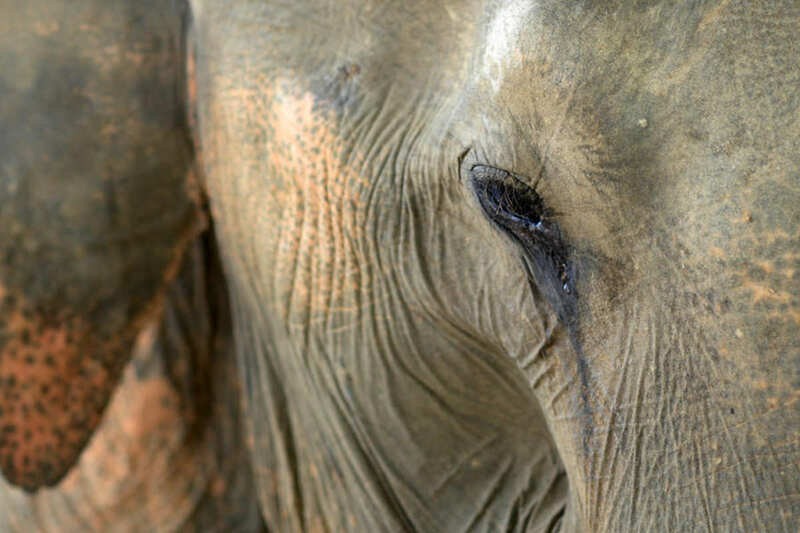 She only lived 8 months at our sanctuary, yet we hope this time gave her a glimpse of what awaits in heaven.